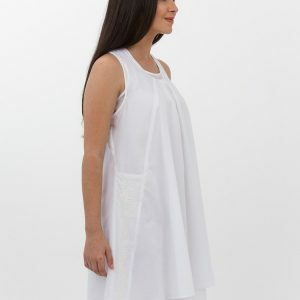 Khadi Cotton Tunic with red embroidered details on front neckline. Using one of our oldest blocks, found in pieces in our archives. 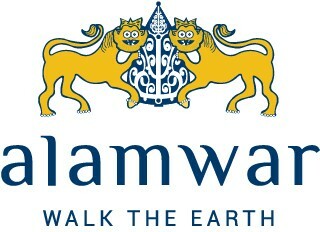 This revived block forges our fun and enchanting Elephant Walk design, finished with artisan hand rolled pompoms. 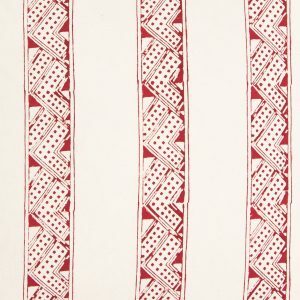 Alamwar’s Hand Block Print Mancala Cinnabar Red on Natural Cotton Fabric features a hand block printed fabric reminiscent of the ancient game of Mancala. Handmade Isfahan Blue and Green Grande Lumbar Pillow from the Anatolia Collection. 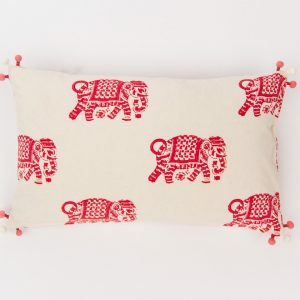 Hand printed 100% Linen in 15″ x 28″ pillow. Our Sasha Scarf is a staple accessory of the best kind. 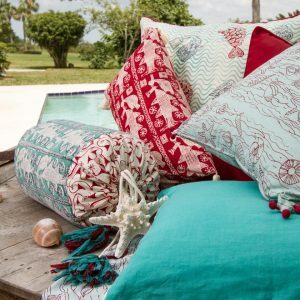 A light blend of cotton and silk trimmed in whimsical handmade pompoms. This accessory is a necessity for every style. 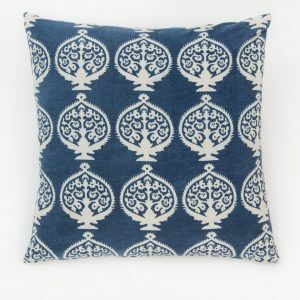 Indigo Bukhara Hand Printed Pillow. 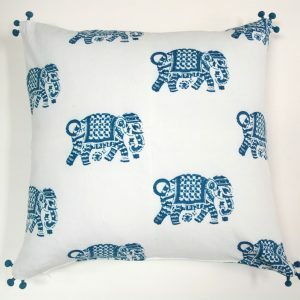 Hand block printed in Indigo dye on natural cotton fabric. Our Shell Scarf is a staple accessory of the best kind. A light blend of cotton and silk trimmed in whimsical handmade pompoms and metallic sequins. This accessory is a necessity for every style.